No surprises here– Scott certainly has a way of making everyone on board feel welcome, included, and totally taken care of during a tour. And yes, he does keep in mind that people might want to catch a couple extra Z’s on the way to the Summit for our Haleakala Sunrise tour. Great shout-out here for Les! He’s awesome at making the trip enjoyable, fun, and informative– even if it’s raining on the Road to Hana! He’s always happy to take care of the hard part of driving the infamous road, and let our guests sit back, chill out, and enjoy! 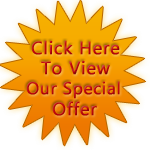 All of our guides are Hawaii-Certified Tour Guides, and they live up to those standards daily! Sean is an extremely knowledgeable, enthusiastic, and interesting guy, who is constantly working to add to that knowledge base. Join us again next year, and he may have even more Maui wisdom to share! We’re psyched that these guests really enjoyed travelling in one of our eight-passenger Luxury Limo-Vans. There’s really no better way to tour around Maui! And we’re not surprised that Jay did his utmost to make the day special for these guests– that’s totally his forte. “Perfection” is exactly the word we’d use to describe our Hana Sky-Trek! These guests captured the feel of our Hana Sky-Trek in their review, and made us wish we were out on the Road to Hana with Steve today! He’s an expert at making people feel at ease, and is one of our best-reviewed Guides. We love the perspective of the Road to Hana you get from the sky during the helicopter tour, and we’re thrilled that our guests do too! We’re so honored that this travel agent enjoyed her picnic lunch on her Summit Lavender Sojourn! Whether you’re touring upcountry Maui or cruising along the Road to Hana, our Pacific Rim Cuisine picnic lunch is the perfect fuel for your day. It’s exactly what a picnic on Maui should be! 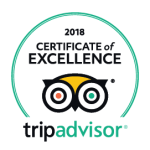 Feedback from our guests reminds us of why we love touring around Maui, and lets us know what an amazing job our Hawaii-Certified Tour Guides are doing. 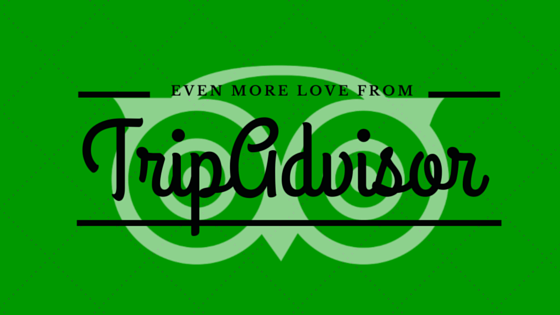 If you’ve joined us on tour, or if you’re planning to, don’t forget to share your Temptation Tours experience on TripAdvisor, Yelp, or Facebook! When it’s finally time for your long-awaited vacation to the Valley Isle, you’ll be ready to relax, and throw caution to the (trade)winds. While it’s certainly your time to relax and enjoy the sun, sea, and sand, there are a few things to keep in mind during your trip to Maui to keep you safe, secure, and healthy! Nothing ruins that vacation vibe quicker than a painful sunburn, and if you spend any time at all on Maui, you’ll be sure to see a few on some regretful folks who neglected their sunscreen. Wear it everywhere—not just when you’re on the beach!—and re-apply it often. Every year, visitors to Maui drown while snorkeling, swimming, or participating in many other ocean activities. Other visitors are tossed by strong waves (leading to serious injuries), or swept out by strong undertows. Our advice: stick to calmer beaches if you’re not an experienced swimmer, research life-guarded beaches before you head out, obey all warning signs posted near the shore, and never turn your back on the ocean. Read more about ocean safety, and stay up to date on alerts here. Maui is notorious for break-ins, and while everybody is at risk (even Maui locals), rental cars are easily spotted and targeted. Whenever you park your rental vehicle, lock whatever you can’t take with you in the trunk, and lock your doors. Don’t leave anything visible on the seats, and, if at all possible, bring your valuables with you. While it’s a relatively small community, Maui does have some serious traffic occasionally. When driving roads that are unfamiliar, be vigilant and drive defensively; don’t get distracted by trying to take in the sights while you’re behind the wheel! If you’re set on experiencing the Road to Hana, consider taking a tour rather than driving it yourself; that way, you can focus on the waterfalls, foliage, and views, rather than navigating all the hairpin turns! When hiking, jogging, or just generally exploring Maui, keep an eye out for potentially dangerous situations. Never go off-trail when hiking, and keep your own skill level in mind before venturing down a new path. While waterfalls and still ponds may be inviting, be wary, and never dive into shallow pools! 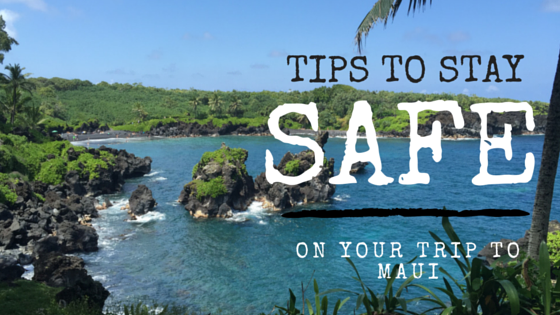 Of course, we wouldn’t be able to cover all the safety concerns to take into consideration while visiting Maui, so take these tips as a jumping-off point to do your own research. While Maui is certainly a place to have lots of fun—especially outdoors—remember that it’s a natural environment, with all the dangers that can come with nature. Be safe, have fun, and leave the island with only happy memories! Everyone knows that Hawaii’s a pretty special state, and we could go on all week writing about its uniqueness. 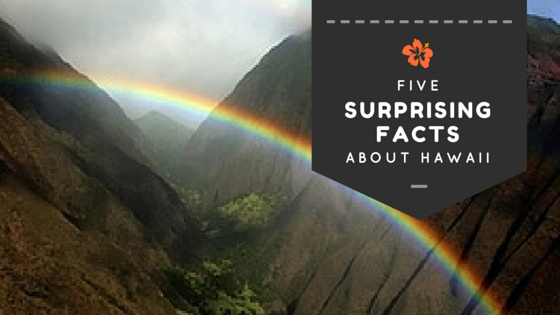 Here are just a few of the things that make Hawaii one of the most interesting places in the US—and even the world! One of the things that’s on almost everyone’s shopping list when they vacation in Hawaii is Kona Coffee, grown on the Big Island of Hawaii. Coffee is also grown commercially on other islands, mostly Maui and Kauai. It’s the only state in the union that lies in the “coffee belt,” where the warm temperatures allow the trees to flourish. Hawaiian-grown coffee is highly prized for its mild smoothness, with a complexity that varies from farm to farm, roast to roast. It’s the perfect cup to enjoy while stepping out onto your lanai and enjoying the tradewinds. Hawaii is the most isolated populated area on the planet. Hawaii is the only US state that’s getting bigger. Yep, that’s right, Hawaii’s area is actually increasing, due to volcanic activity on the Big Island of Hawaii. New lava flows into the ocean, expanding outward to form a “lava delta.” These deltas either become a permanent part of Hawaii’s evolving landscape, or break off into the ocean years later. Either way, with three currently active volcanoes, Hawaii’s still growing! Hawaii is the only US state that contains a royal palace. Found in Downtown Honolulu, the beautiful ‘Iolani Palace was the home of Hawaii’s ruling monarchs from 1845 to 1893. Today, it is open to the public, and can be toured as a fascinating museum of Hawaii’s royal history. It’s the only royal palace that sits on US soil! In fact, Hawaii is sometimes referred to as the “endangered species capital of the world.” Over 25% of the organisms listed on the US endangered species list are endemic to Hawaii. There are several reasons for this, but habitat destruction, climate change, and introduction of invasive species all play a part in endangering many of Hawaii’s endemic residents, both plant and animal. It’s crucial that both residents and visitors stay informed of what species are endangered or at-risk, and what species are invasive or harmful to Hawaii’s fragile ecosystem. Luckily, the dubious title of “endangered species capital of the world” draws attention to just how vulnerable some of these species are, and laws are being enacted to ensure their protection. Hopefully, between legislation, education, and conservation efforts, we’ll start to see some of our precious endangered life-forms like the nene goose, monk seal, and Hawaiian hoary bat start to thrive once more!